Who does not know Google , one of the search engine that has worldwide and the number one at the moment. A variety of advanced and fun features are available in Google . Not only the famous and the number one search engine , it turns out almost all of the features in the Google system , one of which is Google Play or Play Store . 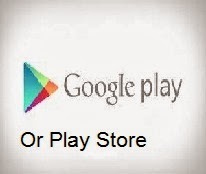 To be able to enjoy the exciting applications of play Store or Google this play , you just have basic android mobile or Hand phone particular user . There are so many great applications available on Google Play this , and this very interesting application supports all types of Hp which basic android . Want to download exciting game , the best feature , where else if not in Google play . For HP basic android users do not have to worry , because in this store Play widely available variety of games that you can enjoy . There were many interesting and beautiful themes , including the Play Store . You can search and download it for free directly to your liking . Do not be afraid of your internet is slow, because to open the Play Store is not long and it takes a lot of Internet quota , so is there anything you are afraid of? Not only category of games , themes and other applications , but you will be spoiled by the many categories you like , so that will add a collection of various applications that you want. Applications from Google Play will be continuous updates , so you will continue to enjoy the development of applications , whether you've downloaded or not . Play in Google you are given to participate either by comment , give advice or criticism . This is because the purpose of Google to make its customers happy .